Viewers in the East Midlands who use Freeview or YouView may be affected by planned engineering work at the region's main transmitter site tonight. Work at the Waltham transmitter, just north-east of Melton Mowbray, is due to take place overnight and is expected to result in a temporary loss of some Freeview channels for up to one hour and periods of reduced power, when the signal will be weaker, between 10:05pm and 6:00am tomorrow morning. According to BBC Reception Advice, the engineering work is weather dependent. With thunderstorms forecast to move across the country tonight, work may be subject to change at short notice. 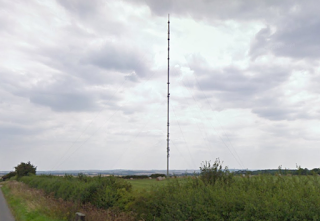 The Waltham transmitter and its relays, forming the Waltham transmitter group, serves most of the East Midlands and carries BBC One East Midlands on Freeview and YouView channel 1. Its core coverage area reaches as far west as Uttoxeter and across to The Wash in the east. Viewers in the East Midlands who receive BBC One on Freeview from neighbouring regions, such as BBC One W Mids on channel 1 are not affected by this work. Earlier this week, the Waltham transmitter was found to be the reason for a loss of the BBC's national radio stations on DAB digital radio in parts of the East Midlands. There had also been short-term unannounced spells of reduced power affecting Freeview overnight. Viewers can check the status of their local transmitter using the transmitter checker tool on the Radio & TV Investigation Service (RTIS) website.